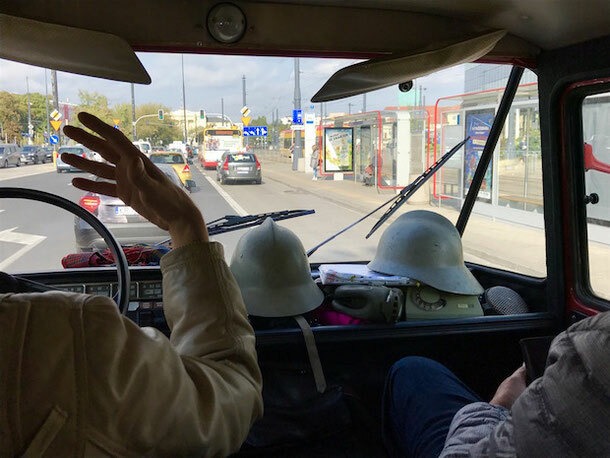 We explored the city in an authentic red "ZUK" (from Polish “beetle”), a car from 1985, one of the symbols of the Communist time. They were produced from 1959 till 1998 in the city of Lublin. These cars existed in the forms of minivans and pickup trucks and were mostly used by the governmental entities. Our car, in particular, in its previous life served firefighters. "Zuk" is a sort of museum in itself. The floor of the car is wooden, and the maximum speed it can develop is 90 km/hour (! :-). The telephone on the photo is actually a "mobile phone" of the firefighters from the older times as it has a walkie-talkie system connected to it. 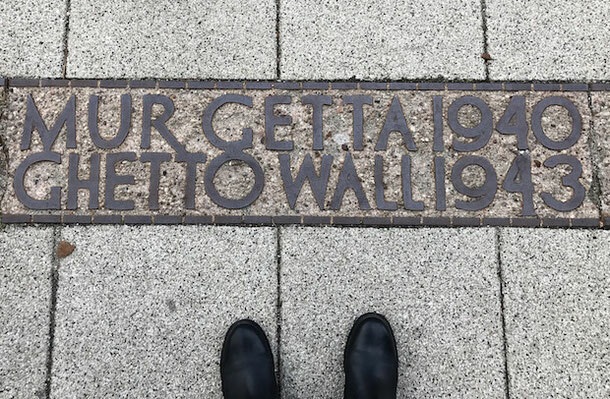 A significant part of the tour was devoted to the World War ll and Warsaw Ghetto, a difficult and terrible historical period on the timeline of Warsaw. Jews were present on the territory of Masovia since the 11th century, and before the World War ll, Warsaw was home to almost half a million Jews or one-third of the city's population. After the war, by the end of 1945, the Jewish population of Warsaw counted, presumably, only 5 thousand, though there is no reliable data on it. The rest didn't survive the Holocaust. 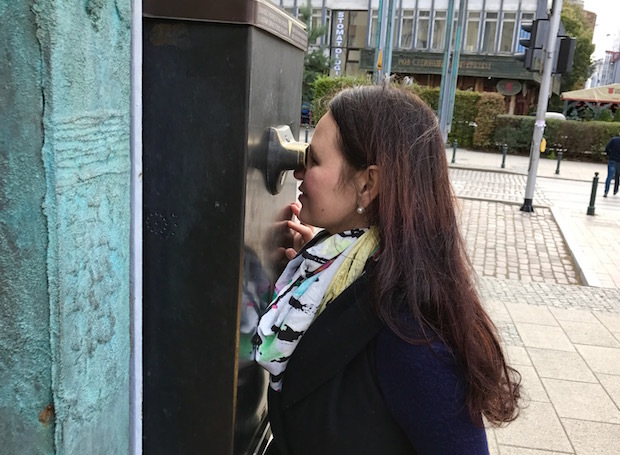 During the tour, I learned many horrible facts and stories about the deportation of 300 thousands of Jews from Warsaw Ghetto to the extermination camp in Trebinka, the daily life of Ghetto, anti-Jewish measures, and Ghetto uprising. We visited the place where the Warsaw Ghetto was located. 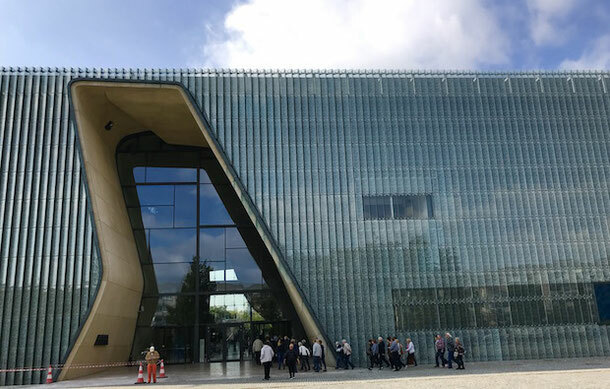 Now there a Museum of the History of Polish Jews (POLIN Museum) that was open in 2013, on the 70th Anniversary of the Warsaw Ghetto Uprising. It displays the thousand-year history of the Jewish community in Poland: from the first Jewish settlers to the present time. The building of the museum is full of symbolism. The facade is clad with glass panels printed with the word "Polin", in Latin and Hebrew, that means "rest here" and refers to the legend of first Jews arriving at the Polish land. A cavernous entrance to the building looks like a fissure, and it symbolizes a gap in the history of Polish Jews caused by the Holocaust. 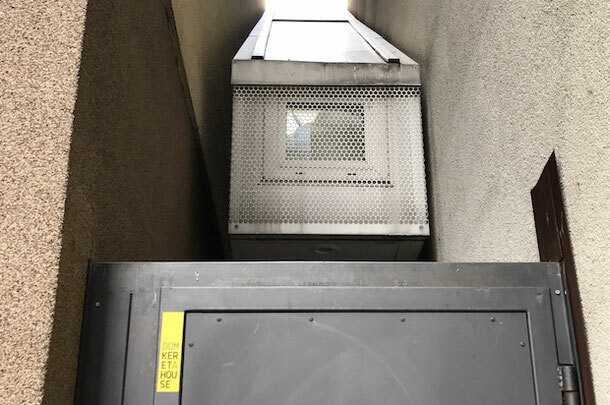 Many cities claim that they host the smallest house in the world, but the truth is that the world's narrowest house is based in Warsaw - at its widest point, it has only 152 centimeters. It's a Keret House called after the Israeli writer Etgar Keret who was the building's first tenant. In fact, it's more an art installation than a real place for living, though it's possible to live there as it's a fully functional home: it has a bedroom, a bathroom, a kitchen, and a living room. The house is sandwiched between two buildings from two different historical periods, a pre-war apartment building and a post-war cooperative concrete apartment building. The Keret House is making a link between two buildings and two epochs. 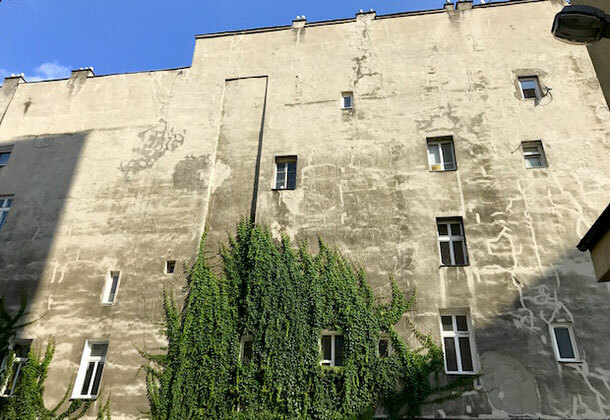 This old brick wall with the traces of shelling on Walicow street is a witness of the dramatic history of Warsaw. It's remnants of the Hermann Jung brewery built in the 19th century. What makes it special is that it served as a border between the Warsaw ghetto and the Aryan part of the city. Touching this wall I felt closer to the history, as these bricks were certainly touched by the residents of Ghetto during the World War ll. In fact, only several fragments of the ghetto walls survived till the present moment. 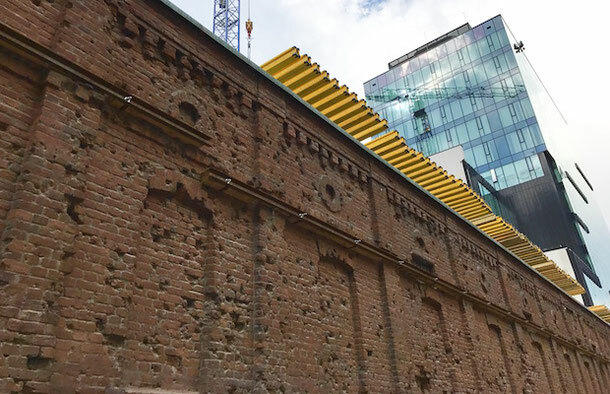 This relic of historical industrial buildings is now being incorporated into new office buildings. 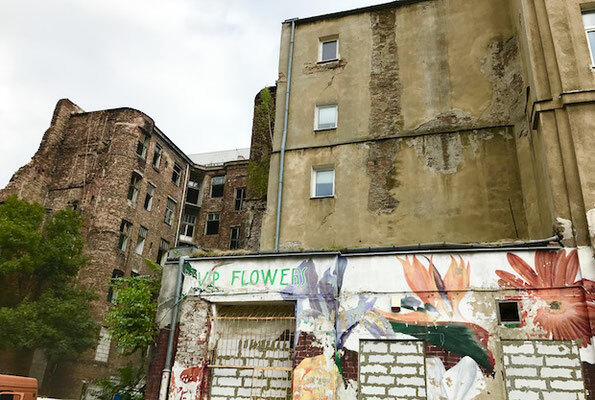 On the other side of Walicow street, there is a ruined Jewish tenement house from the 19th century that suffered heavily during the Warsaw Uprising and bombed by Nazis. The walls of the building still bear bullet holes. It was abandoned for many years, but in 2009, the house was adorned with the mural "Kamien i co", one of the most famous and largest paintings of this type in the capital. And this year the building is entered in the register of monuments, and there are plans for making a museum inside. Looking at this house you may think the builders were drunk. But there is a different story behind. Previously, this building was connected to another one that got destroyed. And once it was demolished, inhabitants wanted to have more daylight in their apartments and cut the windows in the wall. Apparently, there was no any control on neither the size nor the number of these new windows, that makes this building look quite artistic. You can find many buildings like that around Warsaw if you are attentive. That sounds intriguing. Bazaar Rozyckiego is the oldest market in Warsaw that was functioning since 1901. During World War ll and Communist time, it was known for being a black market, a place where people could buy products and goods not available anywhere else, under the counter. Some people say, that one could also get there illegal alcohol, cigarettes, and fake licenses and diplomas. Today, sellers of the bazaar offer clothes, food, shoes, different accessories, and even wedding dresses. But as it's old fashion-looking, there are fewer visitors every year, people prefer to shop at modern supermarkets and shopping malls, and it looks quite empty. When we got hungry, our guide took us to a local restaurant in Praga district, behind the former black market. It is famous for its "pyzy" (potato balls), a popular Polish dish. I decided to try it, and it turned out to be quite tasty. 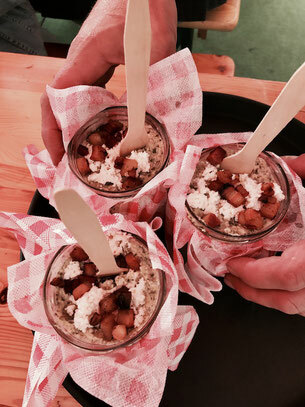 "Pyzy" were served not on a plate, but in a jar, according to a tradition started by some lady selling pyzy in the older time at that market. It was a kind of local fast food for visitors of the Bazar Rozyckiego. Some other dishes that may sound unusual you can try during this tour are pork tongue in horseradish jelly, tripe soup with meatballs, "kopytka" (Polish gnocchi) with liver in apple, plum and raspberry gravy, pork neck with sorrel and hard-boiled egg, or "przeczieraki" (sliced potato balls) with kale pesto. Isn't it appetizing? I am not going to describe all the places we visited during this tour in order not to spoil your experience if you decide to take this tour yourself. I just want to give you an idea of what to expect. If you feel it’s something for you, you can book Warsaw Behind the Scenes Tour here. Enjoy your trip to Warsaw!